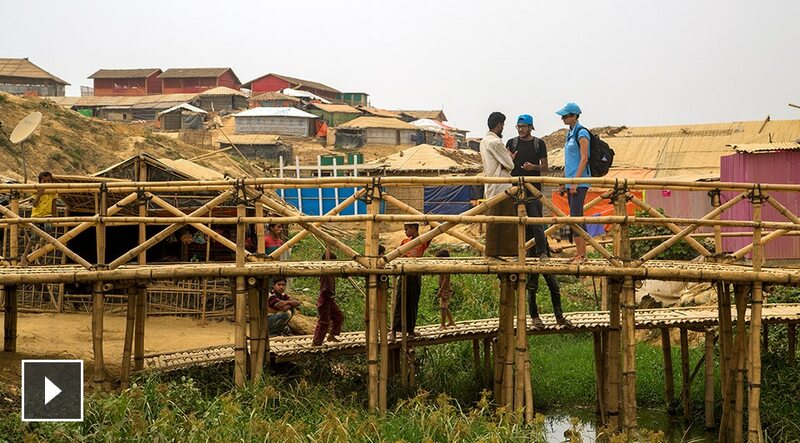 To create a refugee settlement in Bangladesh for the Rohingya Muslims fleeing persecution in Myanmar, UN Refugee Agency UNHCR has built a city of 600,000 people in less than six months. Architect and site planner Phoebe Goodwin maps out where to put the shelters, latrines, roads, footpaths, and bridges. She’s working to solve the design challenges of improving living conditions in the camp and planning for emergencies to help displaced people regain safety and stability in their lives.